Communication can be tricky, especially when you need to let a guy know you like him. Even though the mere idea of expressing your feelings can make you nervous, it doesn't have to be a scary endeavor. When you keep your calm, you can still manage to get the right words out. It doesn't take much to take the fear out of telling a man you like him. Your body language is a great sign of interest and attraction. Use body language to let a man know that you like him romantically. Hold his gaze with your eyes, or flash a dazzling smile in his direction. Orienting your body toward him gives the impression that you're directly engaged, compared to if you're turned to the side, which may express more aloofness than you desire. Express intense interest by focusing all of your attention on him. Appeal to his ego and make him feel as though he's the most important man in the world. Men like to feel special, too, so let him know that you're engaged with what he's saying by doing some active listening and smiling as you're talking to him. Send signals of your romantic interest in him by flirting. Lightly touching his hand or laughing at his jokes lets him know that you're definitely into him. Flirting lets him know that you're really attracted to him. Create an opportunity to be alone together. You have a lot of options. 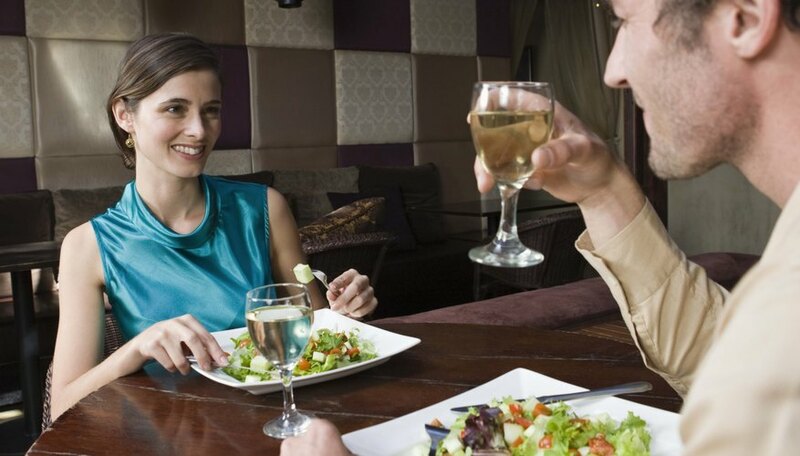 You can have a meal together, such as a brief lunch or a more intimate dinner. When you're alone with him, it's easier to feel calm enough to express your feelings for him. Be lighthearted about it. Tell him that you think you're interested in him romantically - tell him why, and just leave it at that. Don't stress over it or worry about saying the right words. The more calm you are, the more he knows that you're really into him. Wait until the right moment to talk about your romantic interest in him. If he's busy or preoccupied, you might want to forego talking about your feelings. Wait until you both have time to sit down and talk about how you feel about him. Remember that either way, you will learn from this experience. If he returns your affection, it could be the start of a great romance; if not, it's better to know now rather than pining over Mr. Wrong, when Mr. Right is out there somewhere. A touch of humor can go a long way. Keep your tone light while letting him know that your message is sincere. Contributor. "How to Tell a Man You Like Him." Dating Tips - Match.com, https://datingtips.match.com/tell-man-like-him-13443508.html. Accessed 18 April 2019.